Cellists seem to spend more time than violinists, violists, and bassists to find the right combination of strings for their instrument and playing style. More than the other violin family instruments, cello strings have a large effect on the sound of the instrument, so it is very important to be aware of the types of strings that are available. Changing the strings on your instrument has an immediate effect on the sound. Even beginner or intermediate cellos can be greatly improved by changing out the standard cheap strings for higher-quality strings. Quality strings don’t have to break the bank, so to speak. Keep in mind that even though the same brand of strings is more expensive for the cello than the violin, cello strings can last upwards of a year, while some quality violin strings do not even last four months! Each brand of string—even different metals on the same core by the same string maker—will bring out different qualities in your instrument. and many people like to mix and match string sets. 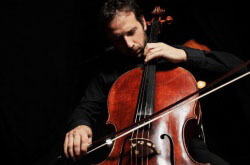 Experimenting can get pretty expensive, but you will likely have to try out different things if you are serious about getting a good tone out of your cello. The materials used to make a string greatly affect its tone. Typically, cello strings are either all-metal or are wound metal over a core. Cores are usually made out of sheep gut (the traditional material for strings for instruments in the violin family) or synthetic materials. Metal strings tend to have a loud and bright sound, while gut and synthetic strings are richer in tone. Cellos are special because they are a soloistic instrument, yet they have a relatively low pitch range. Due to the construction of the instrument, the lowest string, the C-string, can often sound less focused in tone if it is not sturdy enough. 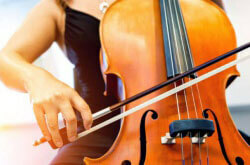 This is why many cellists prefer Spirocore Tungsten C-string for more power and projection. Strings also come in many different gauges, or widths. The gauge of a string can also drastically impact its sound, so this is also something you may want to experiment with on your own instrument. Thicker strings require more tension, which can produce more volume and a fuller sound; however, they often have a slower response. Thinner strings generally have a faster response and a more focused sound, but do not pack the same punch. Most standard string sets will come with medium gauge strings. Though it can be overwhelming with the number of cello strings out there, this guide outlines the top ten string sets as well as some popular combinations of strings to help guide you as you make your selection. 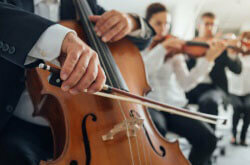 As I mentioned above, cellists tend to mix string sets more than other instrumentalists in the violin family. Though sets of strings are featured below, you might want to try out a few of these popular combinations of strings. Every instrument is different and has its own voice. By combining strings, you are trying to bring out the best qualities of your instrument, while compensating for any weaknesses that it may have. As you can see, Larsen is a very popular choice for the upper two strings on the cello and Spirocore varieties for the lower two. It’s no wonder that the string that tops our Top 10 list is Larsen, which are traditionally the most popular string for cellists around the world. Larsen strings, made in Denmark, have a steel core and thus a more brilliant tone. A popular combination for a mixed set of strings is Larsen A and D-strings paired with Thomastik’s Spirocore C and G. However, Larsen has released their improved Magnacore strings that make a great replacement for the Spirocores. Larsens are not only bright, but also full-bodied, making them a standard choice. 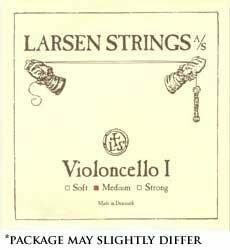 Regular Larsen strings are available in soft, medium, and heavy (forte) gauges. Magnacore strings are just available in a medium gauge for now, but they will likely release a forte gauge soon. These Austrian-made strings also rival Larsen for popularity, especially for the lower two strings. Thomastik-Infeld’s Spirocore strings are also all-metal strings, with a multi-strand core. 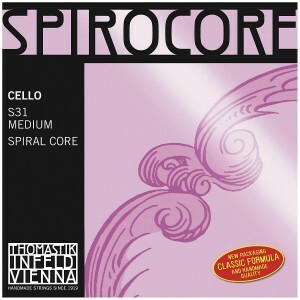 Spirocores are notoriously responsive, giving the lower end of the cello more projection. To boost the lower end even further, you can purchase the Tungsten wound G and C-strings, which offer even more stability and power. The Spirocore Tungsten C-string is the most popular cello C-string in the world! These strings are also known for their longevity, making them a great investment. All Spirocores are available in light (weich), medium (mittel), and heavy (stark) gauges. 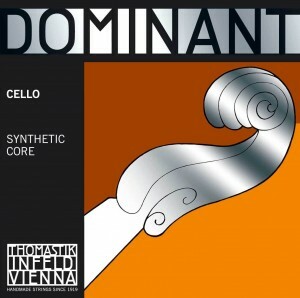 Though not as popular as their Spirocore line, Thomastik-Infeld’s Dominants are sturdy string. With a synthetic perlon core (a nylon derivative), these strings offer much of the complexity of a gut string, but with more flexibility and stability as well as better intonation. With a clear tone, Dominants sound particularly good as A and D-strings and are often mixed in to sets as a replacement for Larsens, which tend to sound a bit darker. For a bit more of that depth, consider swapping out the chrome-wound G and C-strings for a silver winding. Dominants are available in light (weich), medium (mittel), and heavy (stark) gauges. 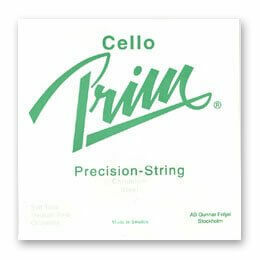 Pirastro is considered by many to be the best makers of cello strings, and for good reason: they are high quality, long lasting, and relatively affordable. The Evah Pirazzi string set is one that works well as is, without mixing and matching with other sets, because it is balanced across the entire range of the cello. For this reason, they have been gaining in popularity recently as a great steel core string. They offer a wide range of sounds, from brilliant to warm and round. For cellos, the Evah Pirazzi strings are available in three separate lines: Regular, Soloists, and Gold strings. The Regular set is by far the most affordable. Soloists, as the name suggest are more suited for soloists and have a slightly brighter and edgier sound. The Gold line is the most expensive, but also the highest quality. They are more complex and offer a greater dynamic and timbral range. Evah Pirazzi strings are often paired with Pirastro’s Obligato or Passione line, but also work very well as a set, which sets them apart from the first three string lines on this list. 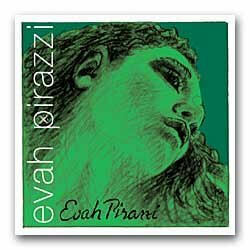 Evah Pirazzi strings are available in soft, medium, and strong gauges. 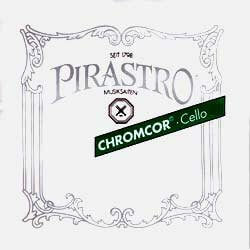 While slightly less complex than Evah Pirazzis, Pirastro’s Chromcor strings offer great quality for a much lower price. Chromcor strings have a steel core and are wound with, as the name suggests, chrome steel. Chromcors have a fast response, and are rather bright in tone. You won’t get the same range of tones with Chromcor strings, but you can’t beat the price. These strings are a great choice for beginner or student cellists who need a good quality string. Chromcor strings are available in a medium gauge only. The Chromcor Plus line is more expensive, but features a darker sound. Made with a synthetic core in the G, D, and C-strings, Pirastro’s Obligato strings are a powerful alternative to steel-core strings. 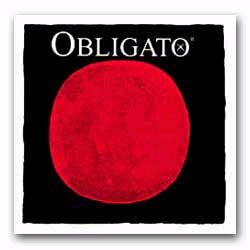 Though they sometimes do not have the same longevity, Obligatos boast a brilliant and soloistic sound. The G and C strings of this set are braced with tungsten, allowing for more stability in the lower end of the instrument. If you are interested in a warmer sound, you can switch out the Obligato A with a Passione medium steel core A-string. Obligato strings are available in a medium gauge only. For a gut string, Pirastro’s Passione line is a fantastic balance of complexity and stability. The Passione G and C strings are gut while the A and D are steel, but the transition to the upper registers of the cello is smooth. Warmer than the metal-cored strings in their other lines, Pirastro’s Passione strings also have an excellent response and the capability for huge power and projection. 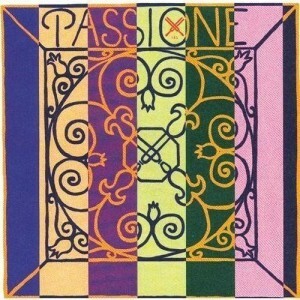 Passiones are available in soft, medium, and strong gauges. D’Addario strings are some of the most affordable strings available for any stringed instrument. The Helicore cello set sounds great from the bottom of the range to the top. Another benefit of Helicore strings is that they have a lower tension, making it easier to depress the strings, which is beneficial especially for higher up on the fingerboard on the thicker strings. However, with less tension you sacrifice some of the power that you get with other string sets. 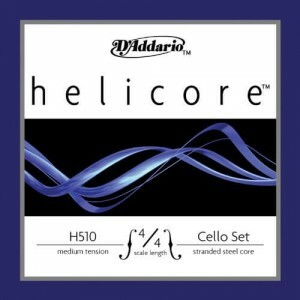 Helicore strings are available in a medium gauge only. 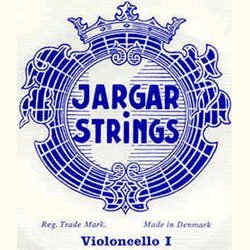 Further, on the more affordable side are Jargar strings. Made with a steel core, Jargars are brilliant and responsive. If you are looking for a more complex sound like what you can get from gut strings, consider their Silver Sound line, which offers the G and C-strings in silver. Jargars are available in heavy (forte), medium, and light (dolce) gauges. 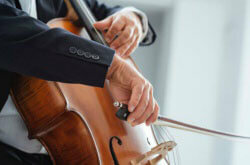 Prim rounds out this list as another affordable choice for cellists of all levels. With a bright and warm tone, they are appropriate for orchestral, solo, and chamber ensembles. Prim strings are available in light, medium, and heavy gauges.